Chimpanzees at NCCC (not related to above study). Photo credit: Kathy West. Human embryos edited to stop diseases using CRISPR. In a massive collaborative effort, researchers in the USA and Korea, have for the first time “freed embryos of a piece of faulty DNA that causes deadly heart disease to run in families.” Hypertrophic cardiomyopathy, is a common heart disorder, affecting approximately one in every 500 people, and can lead to cardiac arrest. In this study, “sperm from a man with hypertrophic cardiomyopathy was injected into healthy donated eggs alongside Crispr technology to correct the defect” — and in 72% of the embryos the disease-causing mutation was removed. Safety and efficacy evaluation of the CRISPR technique is still under scrutiny, and this evaluation owes much to animal research as we have previously highlighted in our research roundups. This research was published in the journal Nature. ‘Autistic’ mice affect the behaviour of their littermates. Researchers at Cardiff University, led by Dr Stéphane Baudouin, genetically altered mice to exhibit symptoms of autistic spectrum disorder and found that other unaltered mice became less social. The mice altered mice had the neurolignin-3 gene turned off, changing their behaviour. Wild-type mice in the same cage ceased to be interested in the smells of the urine of other mice – a standard test for social behaviour in mice. When the Neurolignin-3 gene was turned back on, both the altered mice and the wild-type in the cage returned to their ordinary behaviours. Dr Badouin also found that the ‘autistic’ tendencies of the mice were worse when the mice where housed with wild-type mice compared with housed with other altered mice. This study was published in eNeuro. Genome elasticity and shrinking found in bats. The size of genomes are known to vary across the animal kingdom: hummingbird — 1.11 billion base pairs (bp); human — 3.42 bill. bp; leaf insect — 7.82 bill. bp. These sizes are typically maintained across millions of years, but when they do change it is usually an increase in size from the addition of transposons. Transposons are classically referred to as “jumping genes” and partly drive genetic evolution. Researchers at the University of Utah recently studied size change of genomes and transposons in the common little brown bat (Myotis lucifugus) and found something interesting. Around 40 – 50 million years ago, the genome had gained 400 million transposons and shrunk in size — over a small amount of time (in evolutionary terms) the genome dramatically changed. Because genomes serve as the raw materials to living life, this is a huge finding. Furthermore, mammalian genomes are widely recognized as monotonous — rarely changing in size over time and rarely gaining many transposons, however it now appears the little brown bat is an anomaly. Further research on these bats and other mammals will help us better understand the relationship between genes and evolution. A less invasive form of swabbing is being investigated as a means of refinement aiming to improve the welfare of zebrafish. Zebrafish use continues to increase, because of their utility as a model organism for investigating both basic and applied biological mechanisms related to health and disease. Previously, the collection of DNA from zebrafish was done via fin clipping — a fairly invasive procedure performed without anesthesia. With funding from the NC3Rs, researchers at the University of Leicester’s Department of Neuroscience, Psychology and Behaviour are systematically exploring a new technique. 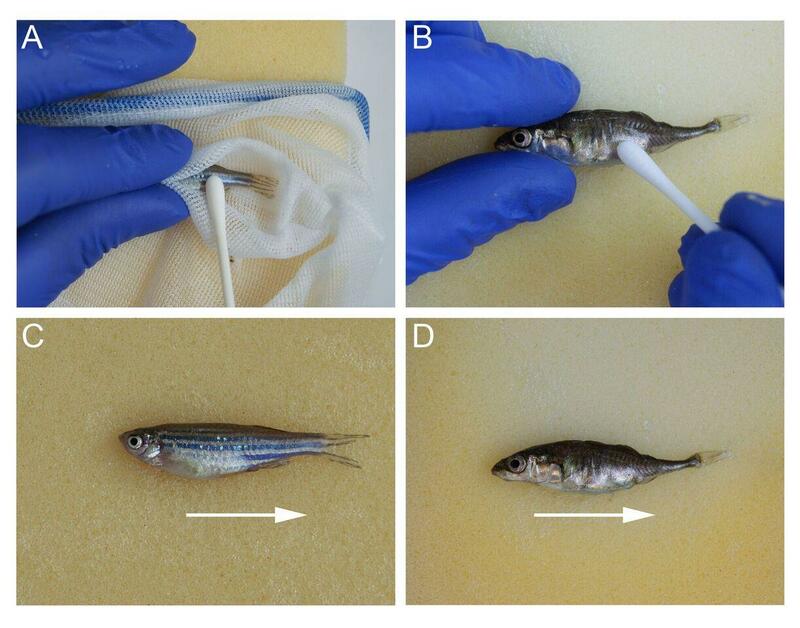 Here, “researchers gently stroke a swab along the flank of a netted fish and takes just a few seconds to complete. 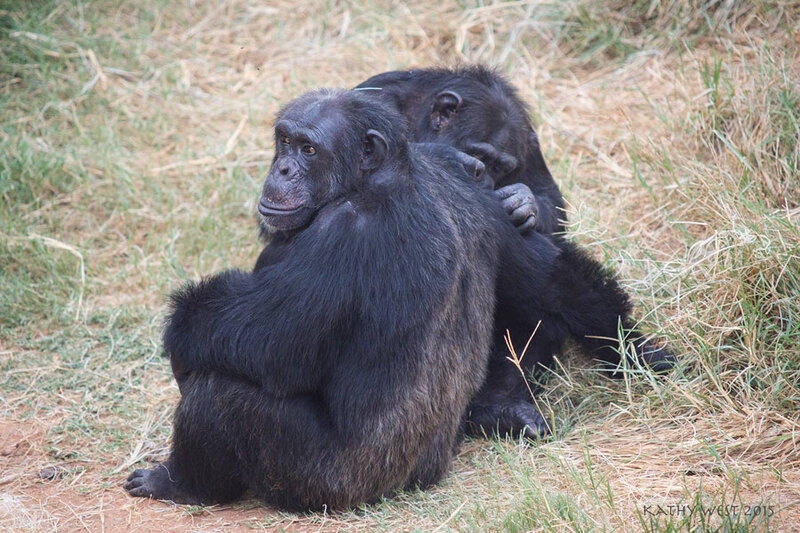 Previous research by this team has already shown that this technique collects ample material for DNA analysis.” This two year project will investigate the potential benefit to the animals’ wellbeing by comparing the standard method to the newly proposed one. Posted on August 4, 2017 by EditorPosted in News, Research RoundupTagged alzheimer's, bats, Chimpanzees, Chimps, mice, zebrafish. Hope more progress will be made for the Alzheimer’s research.